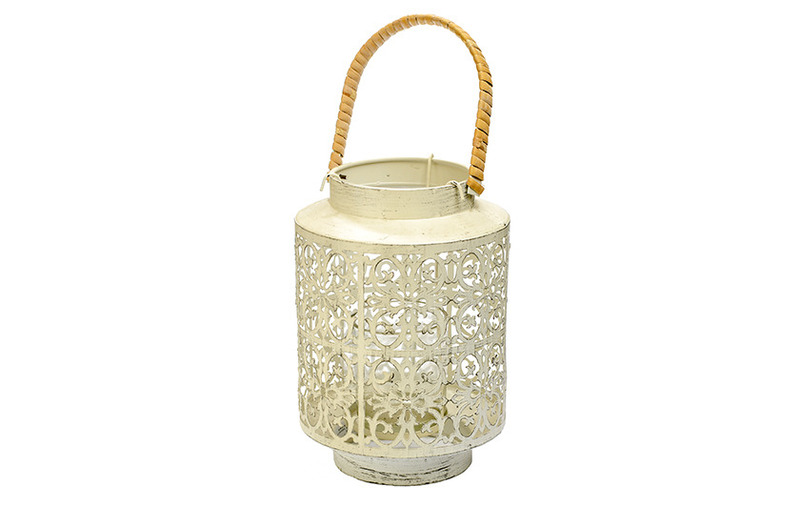 Stylish patinated metallic lantern, in creamy colour. Can be used with small candle (not included). Dimensions ca. h 22 x w 15cm.